Gain knowledge to determine market channels that meet your price point using a newly revised calculator tool developed by our partners at Cornell Cooperative Extension. Learn three easy ways to sell any cut on the animal by knowing where cuts are located and their corresponding cooking techniques for beef, pork, and lamb. Engage and respond to customer requests for cooking tips and help move those hard-to-sell cuts. Hear from NC farmers who are finding ways to target their niche market. Register: https://bit.ly/2tlXeKR | Register by August 16, 2018! Credit Cards: CEFS can now accept credit cards for your registration fees. Instructions for paying with credit cards are found at the end of the registration form. 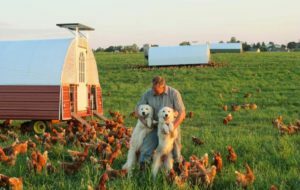 Edwin Shank is a farmer, teacher, writer and founder of The Family Cow, a certified organic, pasture-based farm in Chambersburg PA. Pictured here with his Great Pyrenees, Nikki and Tasha, Edwin and his dedicated Family Cow Team specialize in growing raw milk, pastured chicken and turkeys, grass-fed beef, woodland pork and other ‘healing foods’ for 50 plus rapidly-growing drop point tribes throughout PA. Edwin and his family also run an on-farm store plus market via UPS shipping to 30 eastern states. 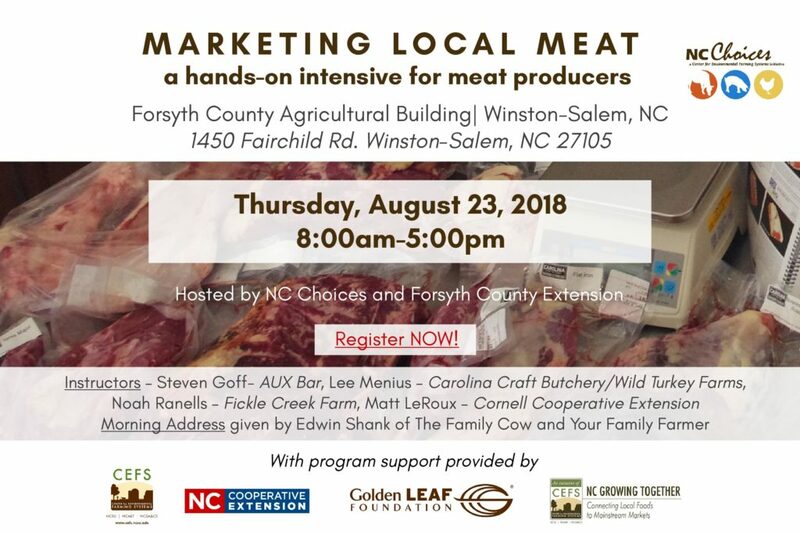 Brought to you by NC Choices, Forsyth County Extension, the Center for Environmental Farming Systems, and NC Growing Together, with support provided by the Golden Leaf Foundation. • Early Embryonic Mortality (EEM) Needs to Be Addressed in a Cattle Operation!